Federal Medicaid Fraud Defense Attorney - Oberheiden, P.C. 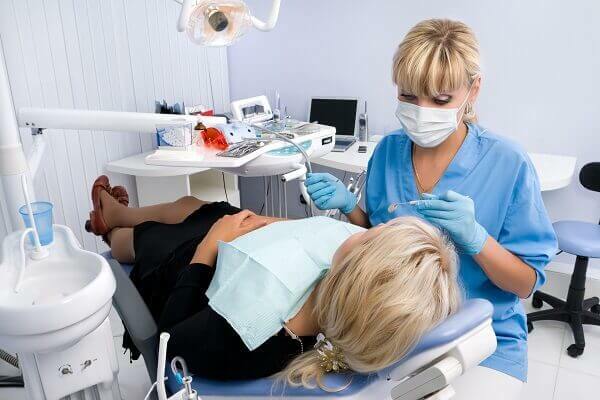 What Are the Penalties in Dental Medicaid Audits? Medicaid fraud investigations against general and pediatric dentists are on the rise. Across the country, federal and state law enforcement agencies have significantly increased the number of civil and criminal investigations against pediatric dentists. From our defense of pediatric dentists in states like Texas, and from our working with the Office of Inspector General and the Department of Health and Human Services we understand that the government will continue its effort to investigate, disbar, and prosecute dental providers for alleged overbilling and intentional malpractice. This brief summary, written by experienced healthcare fraud defense attorneys and former federal prosecutors, provides a brief overview of the allegations, the process of an investigation, and the available defense strategies. Medicaid is a joint federal and state program providing medical insurance to a select group of individuals, namely those that meet low income guidelines. Therefore, both state and federal agencies often work together on Medicaid fraud investigations. Spearheading these investigations are the federal Department of Health and Human Services’ Office of the Inspector General and state Medicaid Fraud Control Units, which are state components of the U.S. Attorney General’s office. Prosecutions for Medicaid fraud are usually referred to the local United States Attorney’s Office. These types of cases can be handled by the Civil Division, Criminal Division, or both in the case of parallel proceedings. It is standard procedure for claims submitted to Medicaid to be examined by auditors and investigators for any potential red flags. This examination, as well as patient complaints and internal whistleblower claims, respectively, can lead to additional government investigation. What Is Considered Fraudulent Activity? Failing to meet patient standard of care. If a provider is deemed an outlier based on one of these three criteria, a more careful inquiry is initiated. An initial inquiry into a dentist or dental practice usually begins with a formal letter from a state or federal agency requesting a sample of patient files. These letters are often accompanied by a subpoena. The subpoena can be issued pursuant to the authority provided to the Inspector General by Public Law 95-452 (see U.S.C. App. 3 § 6(a)(4)), as amended by Public Law 100-504. Under the health information privacy regulation that implements the Health Insurance Portability and Accountability Act of 1996, also known as HIPAA, providing the information requested by a subpoena is a permitted disclosure since it is “required by law” (see 45 C.F.R. §§ 164.512(a), 164.103, and will be used for “health oversight” activities by OIG, which meets the definition of a “health oversight agency” (see 45 C.F.R. §§ 164.512(d), 164.501). The documents are generally required to be produced exactly as they were at the time of the subpoena request. No alterations should be made to the document subsequent to a production request. The subpoena most likely will also request document retention and destruction policies and efforts made by the recipient to preserve the documents requested in the subpoena. Once a dentist or dental practice receives a demand letter and/or subpoena for documents, a call to an experienced healthcare fraud defense attorney is vital to avoiding criminal charges or penalties. Medicaid audits, subpoenas, and government investigations contain three major risk factors for providers: Program exclusion, license revocation, and criminal charges. Providers must be vigilant and must take immediate action when contacted by state or federal law enforcement agencies to avoid a spiral effect. Among the biggest concerns our clients have is to be excluded from serving Medicare and Medicaid patients. Because the government understands that federal payors are a substantial portion of many dentists’ practices, this threat is as common as it is serious. Indeed, the federal government and CMS have the authority to remove providers if the government is convinced that fraud was committed. The government is not even required to prove willfulness or intent. Excessive errors, wrong diagnoses, billing mistakes, and overcharges all qualify for a CMS review. Don’t let this happen to you. Experienced healthcare fraud defense attorneys understand how important it is to remain an acceptable CMS provider and what to do to maintain good standing. In order to protect any of our clients’ licenses and program status it is of critical importance to act the moment a provider becomes aware of an audit, overpayment request, or a government investigation. The longer you wait and the more you hesitate, the higher the chance that the government will prevail. State and federal law enforcement agencies work closely with professional licensing boards and will report their findings to recommend suspensions or revocations of professional licenses. In many cases, such a drastic step can be avoided provided that experienced attorneys have an opportunity to negotiate a positive resolution of potential errors and problems at an early stage of an investigation. To date, not one of our dentist clients has lost his or her professional license due to a Medicaid investigation. In more extreme cases, the U.S. government and specifically the Department of Health and Human Services, the Office of Inspector General, and the Department of Justice will pursue criminal fraud prosecutions against audited dentists. Most of these developments have in common that the government is convinced that a clinic intentionally and willfully overbilled Medicaid and Medicare with the goal to defraud the government. Almost all these cases have in common that a clinic provider, although aware of an audit or an investigation, did not take the appropriate steps to consult with experienced defense attorneys to stop the government from opening a criminal investigation. The longer the government believes that a provider acted with bad intent and the more time goes by without efficient defense work, the higher the chances that an ordinary audit may turn into a criminal matter. Our combined experience of decades of working at the U.S. Attorney’s Office and defending clients in healthcare cases tells us that it is imperative to address a potential problem as early as possible and to discuss a resolution with the government at the earliest opportunity in order to avoid a broader civil or even criminal investigation by federal law enforcement agencies. Subpoenas should be taken very seriously and responded to in a timely manner. An experienced attorney will ensure that you comply with the government’s requests and at the same time protect your own interests. Once the records are received by the government, a qualifying dental expert is usually hired to review the patient records and dental notes. This process can be tedious and timely, particularly given everything that is at stake for the dentist under investigation. In practice, the goal of the government’s expert is to confirm the allegations of fraud. Importantly, the targets of investigations are also entitled to hire their own experts. An experienced healthcare defense attorney will be able to determine if and when a defense expert is necessary and will know qualified experts to retain. Standard of care is determined on a case by case basis. There cannot be a clear cut pattern of behavior as every patient presents differently. For example, socioeconomic and cultural factors can play a role in the dental visit. Accordingly, certain guidelines should be treated merely as recommendations; all circumstances cannot be judged against the same strict guidelines. Experts are at an immediate disadvantage as they are usually not afforded the right to conduct an actual physical dental exam. The investigation may be several years after the patient was seen and prior dental work may not still be present. Also, the logistics of tracking down pediatric patients for purposes of an investigation may not be practical. Relying solely on the patient file will not tell the full story for the expert analysis. Poor record keeping should be given minimal weight in matters of assessing standard of care. One does not equal the other. If your practice received an audit request or finds itself in the middle of an investigation, you should contact the experienced attorneys and former Medicaid auditors of Oberheiden, P.C. immediately. Our attorneys are available for clients nationwide, and have particular experience serving dentists located in the states of Michigan, Illinois, and Texas. Consultations are always free and confidential. We answer the phone seven days a week and we will connect you right away with the attorneys below. The attorneys of the Oberheiden, P.C. have a track record of successfully defending Medicaid and Medicare dentists and other healthcare providers in government audits and investigations. Former Medicaid auditors, former federal healthcare prosecutors, and well-respected healthcare fraud defense attorneys assists clients, like you, across the United States. Our three priorities in each dental Medicaid fraud case are (1) to make sure that you keep your license and (2) that you will not be excluded from providing Medicaid services and (3) that a government investigation will not turn into a criminal matter.